Be the first to hear about their new releases and deals. Download the Booksprout app and search for Tina Jones Williams today! 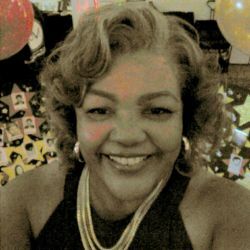 Award winning author and member of the National League of American Pen Women, Tina Jones Williams was born and raised in Berkeley, California where her first series The Julia Street Series is set. Tina fell in love with a time, place, and people and was compelled to write about them in each of her 7 books. Tina is a proud member of Alpha Kappa Alpha Sorority, the first African American Sorority founded in 1908 on the campus of Howard University. We pledge a lifetime of service to All mankind. Tina is married to her high school sweetheart, the mother of two adult children who are the apples of her eye, and she Is an avid volunteer.